After completing Part 1 of this tutorial, I see that this part is going to be the trickiest such that I think I'll just focus this post on adding the top image and repositioning the title and description. 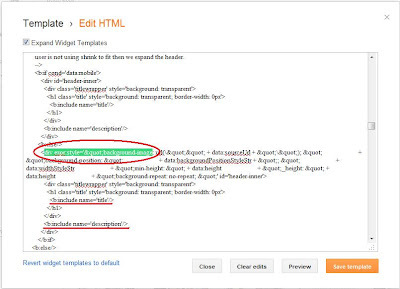 As much as I wanted to not touch the template directly, I discovered that we're going to have to make one change deep within the Blogger Simple template. 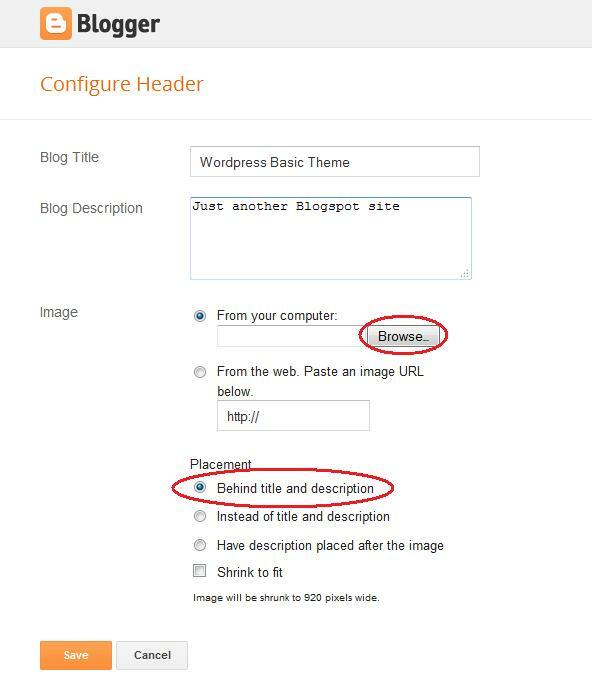 Before we start be sure to either practice these changes in a test blog or backup your template before starting. This is critical!! 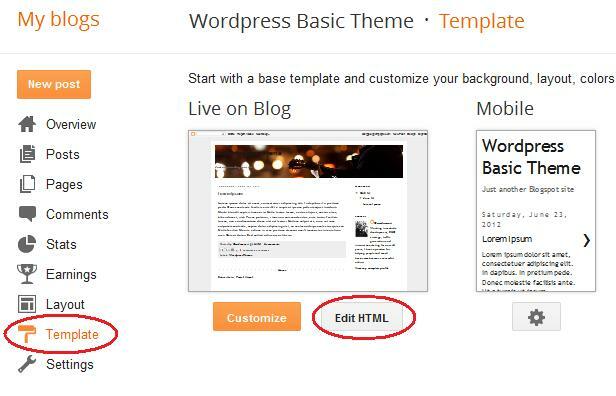 Be sure to read my post How to Backup Your Blogger Template to learn how to do this. Ok, from Part 1 we were ready to add the banner across the top of the template. I'm not going to go into a deep tutorial on how to create and format a banner image other than to say you need a .jpg (JPEG) or .png (Portable Network Graphic) image that is formatted to approximately 940x165 pixels ready to go. 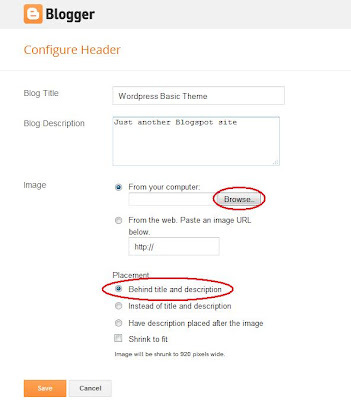 If you don't know how to do this check out the video tutorial called How to Make Blog Headers, or, just do a search for creating a Blogger or Wordpress header image in Google. 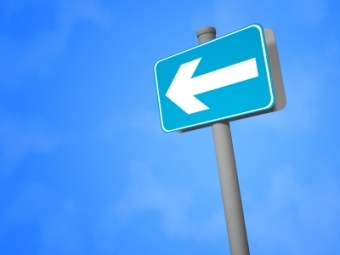 At this point your template should have a good banner image with the appropriate widths set. Now comes the hard part. 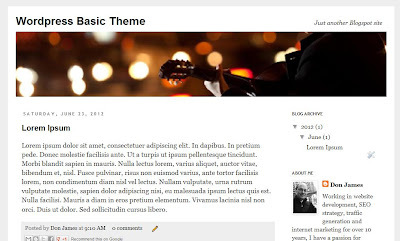 As you noticed earlier the blog's title and description fields are now located within the image itself. We need to move these above banner. I thought some simple CSS code might do it - but, I haven't found a good way yet. 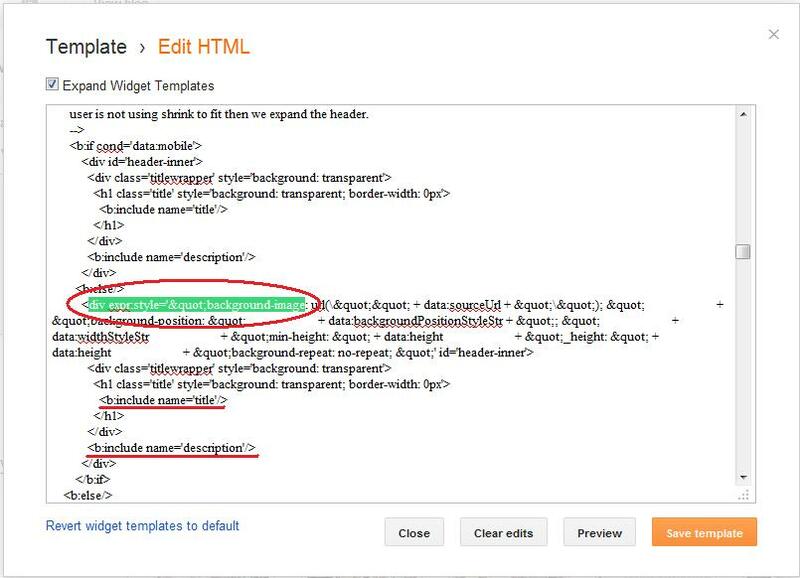 So, we're going to move some of the template's HTML around a bit and add a couple of CSS formatting commands. 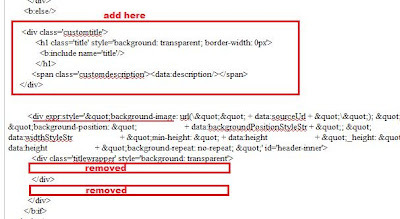 Before you do anything click on the checkbox named 'Expand Widget Templates' as shown below. You are going to be searching for the HTML code where the banner is actually rendered. Press the Preview button to make sure the code works - here's what you should see! Next up in Part 3, the final settings for the sidebar and highlighting modifications. Enjoy! but there is online generator to cloning wordpress theme? 1. 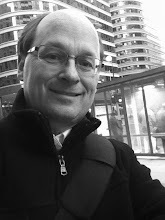 The export to import doesn't create a standardized Blogger theme. 2. Some converters have size limitations that don't work. 3. Other converters only move posts - not the theme. 4. 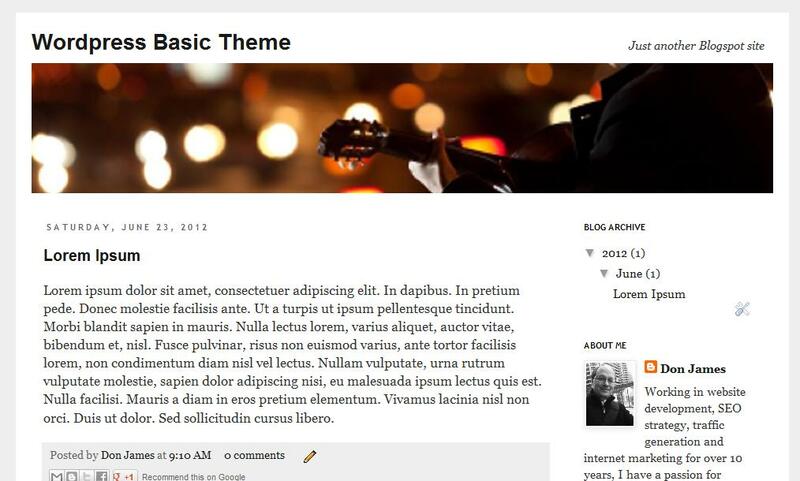 Blogger themes are a mix of CSS/HTML but also embedded Blogger commands, which, much like #1 above don't convert well. If you know of one - I would love to know! Thanks! I 've followed each and every steps . Will you please help me a little bit more to finish what I have started with your help. I've been dealing with a sick family member for a while and now have some more time. Sorry this took so long to get back to. Let me know if you need help.